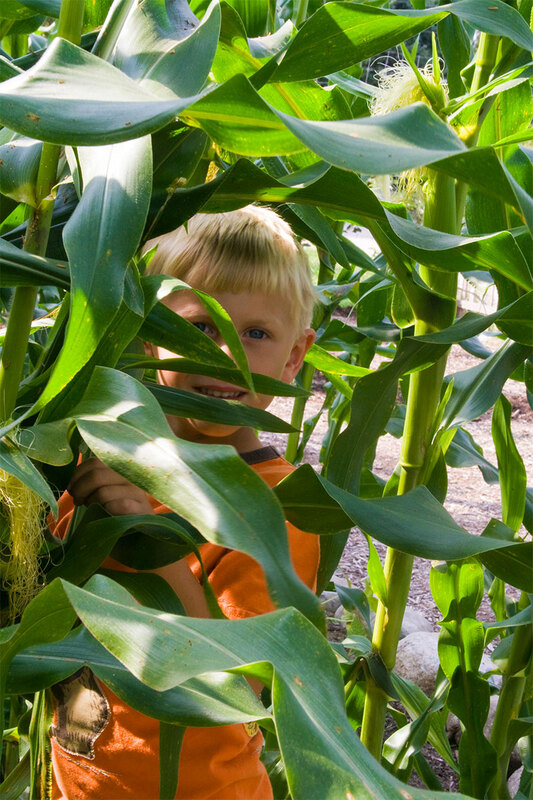 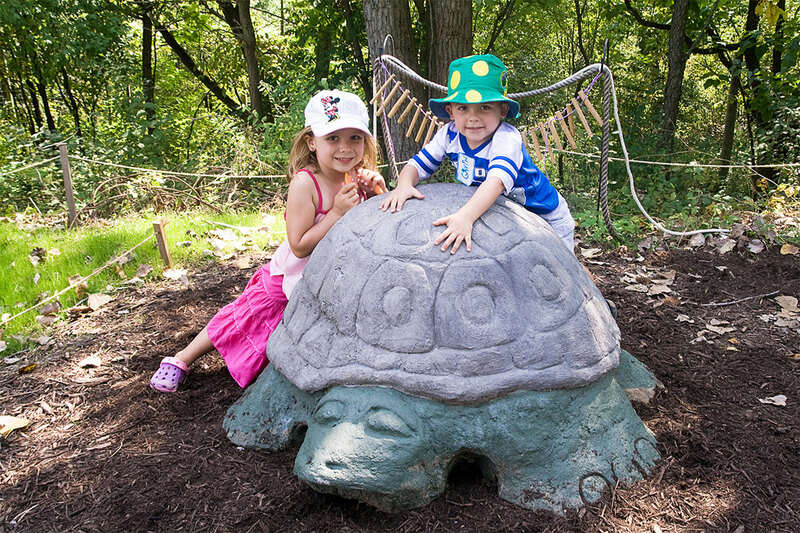 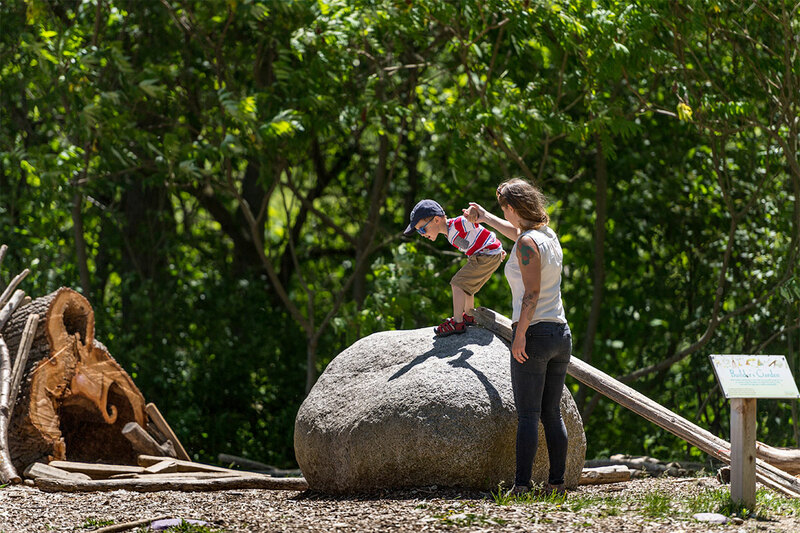 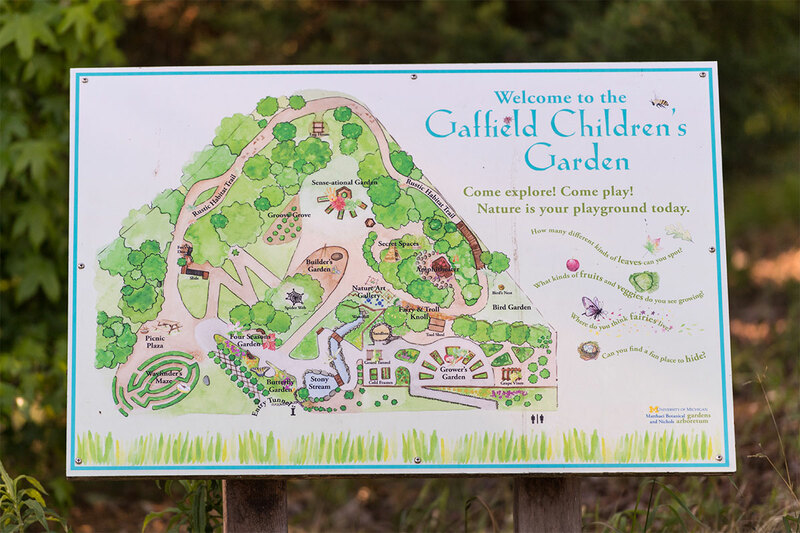 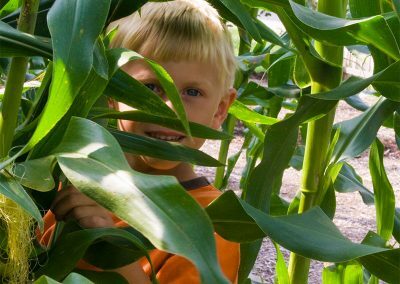 The Gaffield Children’s Garden is a place for child and family exploration and fun in a natural setting specially designed from a kids’-eye view, a place that invites discovery with all the senses. 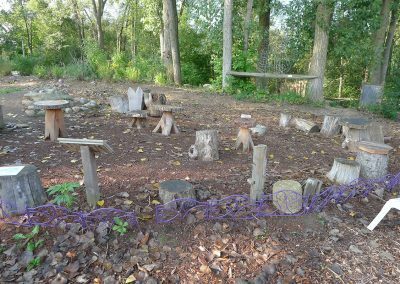 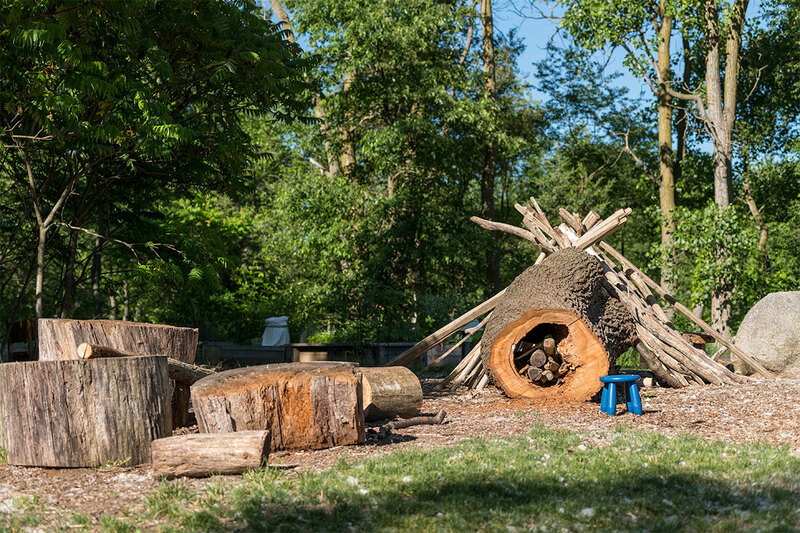 Here, children can build with natural materials in the builder’s garden, wend their way through a maze, discover magical creatures in a fairy and troll knoll, or just get their hands dirty in a digging pit or playing in the mud garden. 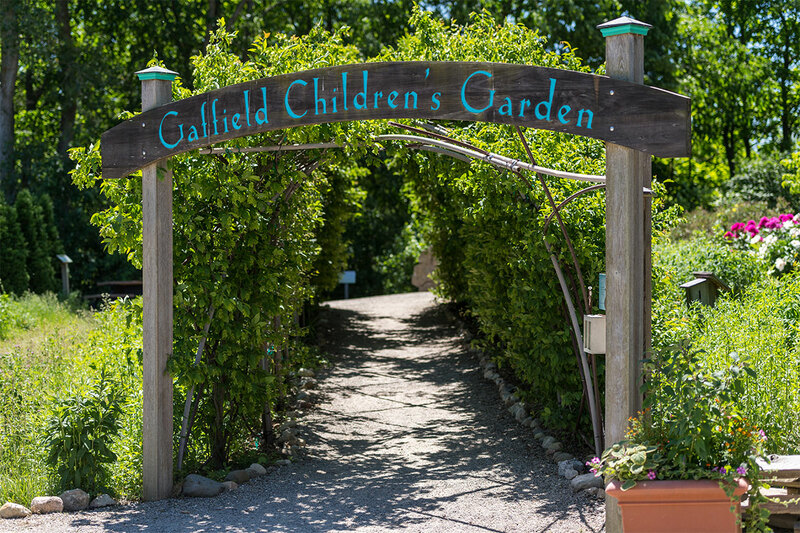 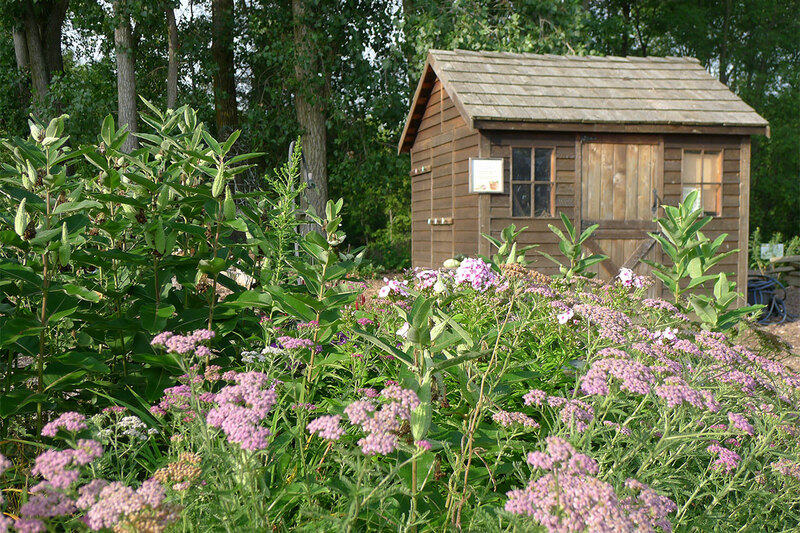 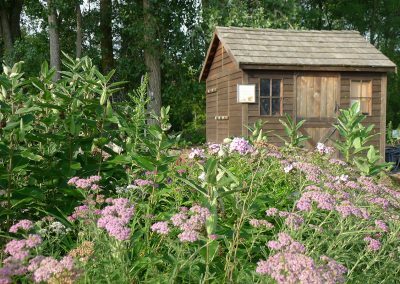 The garden also features a pollinator and hummingbird garden, a habitats hiking trail, and more. 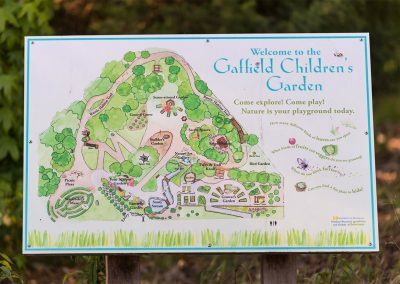 Scroll down to see a gallery of children’s garden photos. 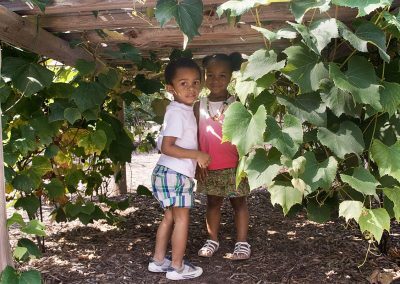 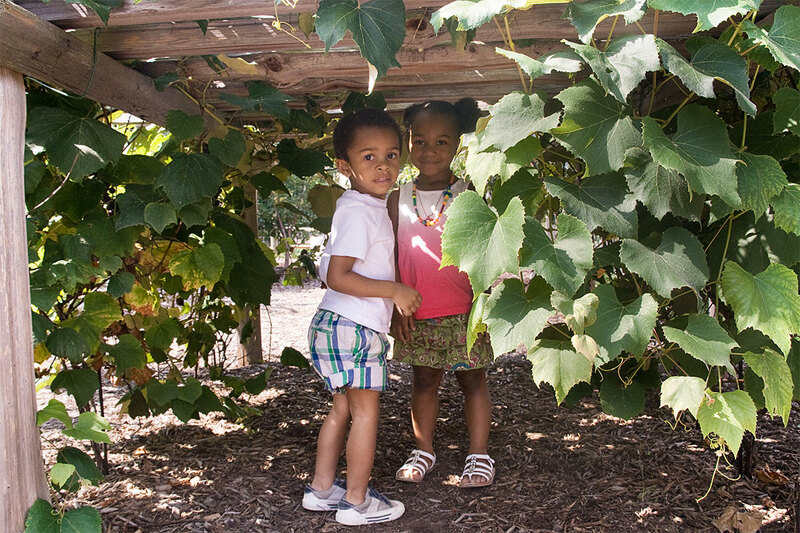 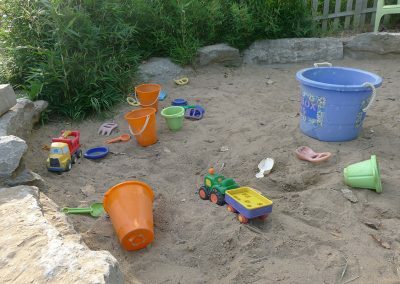 The garden is designed for individual and small groups of up to 15 (with 3:1 child to adult ratio). 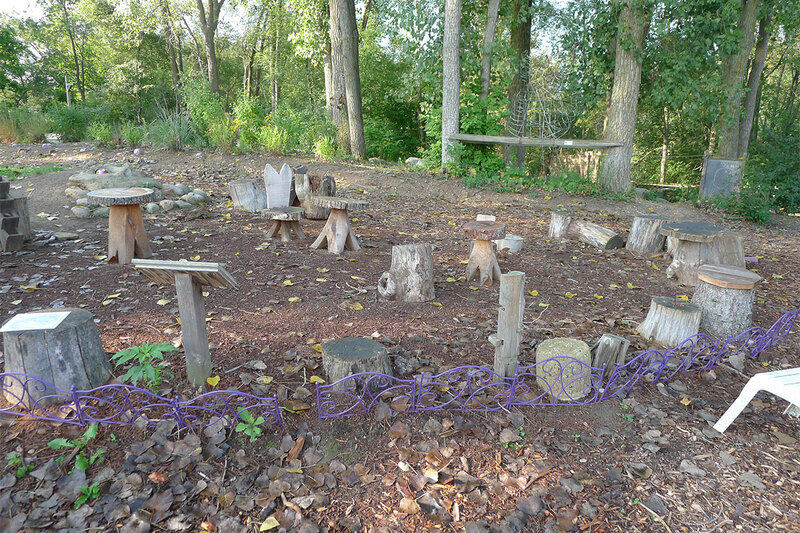 Larger groups please see our resources for group visits. 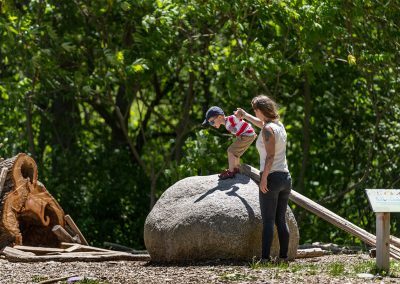 If you are a parent, teacher, or caregiver looking for more Nature Play resources, locally and nationally, please check out the follow links. 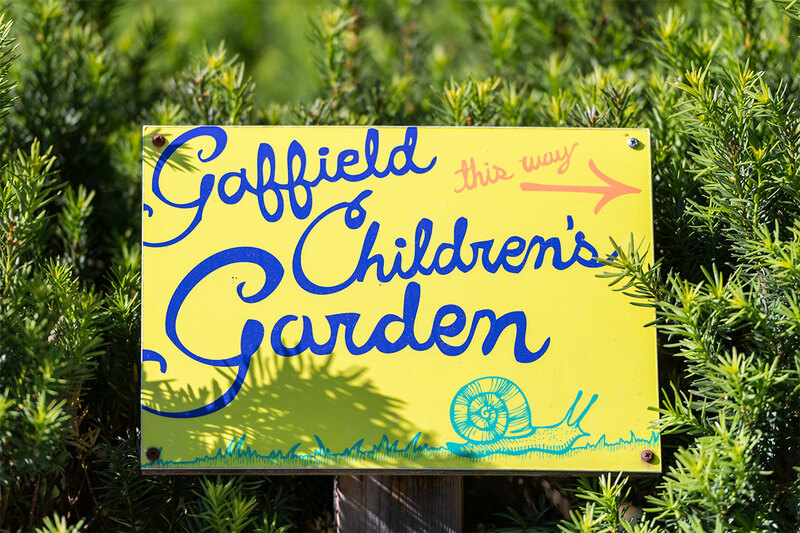 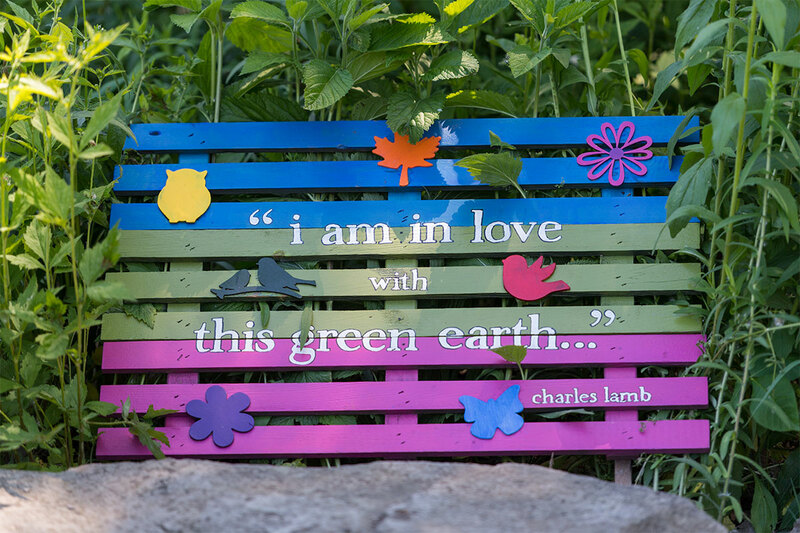 Tom and Jeannette Gaffield provided a catalyst gift that turned the dream of the Children’s Garden into reality. 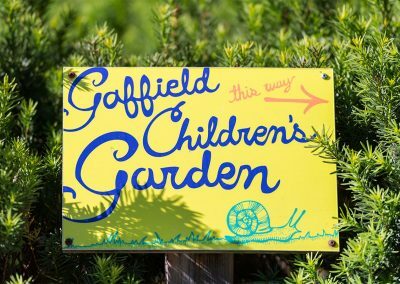 If you would like to contribute to the Children’s Garden, please contact our director of development, Meredith Olson: merolson@umich.edu; 734.647.7847. 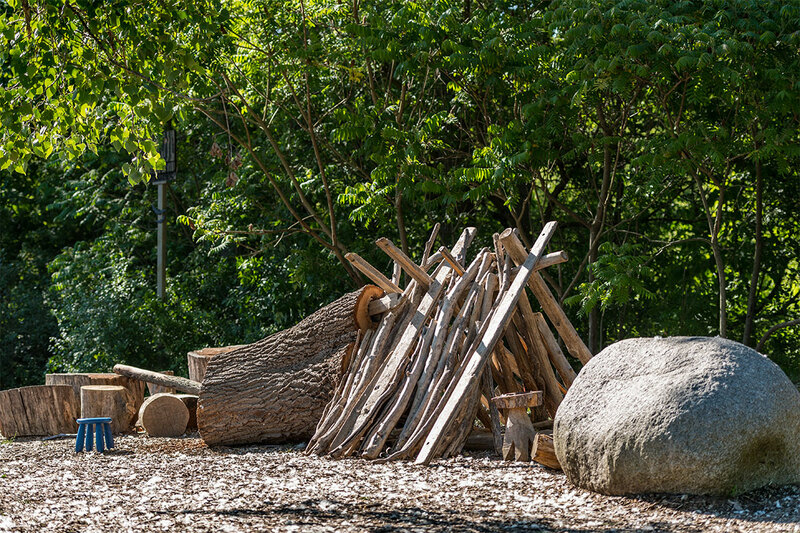 We will continue to develop all the imaginative spaces that enchant children and their families. 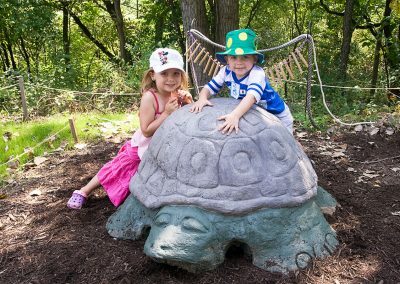 These include a sensory garden featuring plants with interesting smells and textures, a builders’ garden that offers children natural materials they can use for their own creations, an art wall and art gallery garden, a fairy and troll garden, a way-finder’s maze, an animal habitats hiking trail, a simulated stream, and an amphitheater. 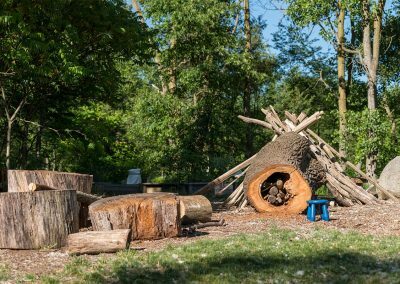 We will also seek funding to construct a hands-on musical installation designed by Professor Michael Gould of the School of Music, Theatre and Dance, along with an accessible tree house.